· The modern Bengal is a cross between a domestic cat and the wild Asian leopard cat Felis bengalensis. n leopard cat with the predictable temperament of the domestic cat. · For the new breed to be accepted, it must be assured that the wild tendencies have been bred out and the cats had the ability to reproduce a consistent type. 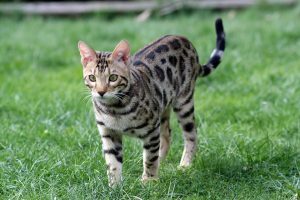 · In the 1960’s in the United States, a Dr. Willard Centerwall bred several leopard cat hybrids. · In the 1970’s William Engler, a zookeeper working with exotic cats, had kittens sired by a leopard cat. · Subsequent generations of breeding produced the Bengal which was later on finally established as a domestic cat. · The Bengal is a medium to large cat with a long, sleek, muscular body. · The legs are strong and muscular with large, rounded paws. · The tail is thick with a rounded tip. · The average weight of the male is 5-8 kilograms and the female 4-6 kilograms. · The Bengal’s head is broadly wedge-shaped but is small in proportion to its body. · The eyes are large and oval-shaped. 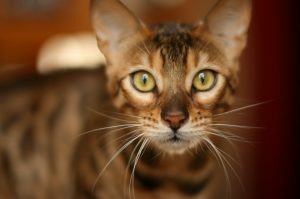 · Bengals have short, beautifully patterned fur which is the breed’s unique feature. · The coat is dense and is very soft to the touch. · Coat has two patterns: marbled and spotted. In both patterns there is a clearly defined contrast of colour. · There are four colours: brown, snow, silver and sepia/mink. · Bengals are affectionate and devoted cats who have a tendency to follow their humans everywhere. · These cats are curious and seem to be always “busy”. 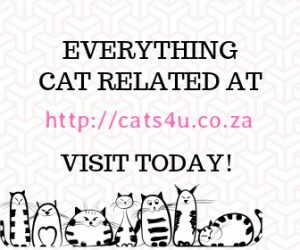 · They are hyperactive and playful cats who love to climb up high places. · On some occasions, they prefer to be lap cats instead of running around. · They are confident, sociable and talkative. · The Bengal does not require much grooming. · A cat tree is essential because Bengals love to climb. · They are athletic and require a home with space where they can run around. 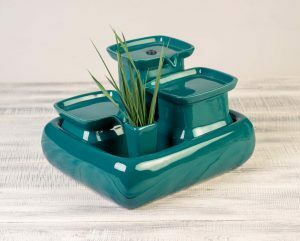 · They can adapt to both indoor and outdoor living but better kept indoors. 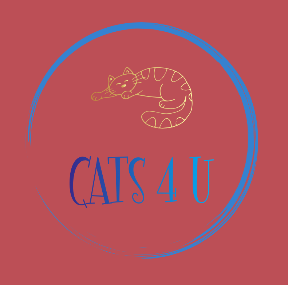 · The first generation of Bengal kittens born from the cross between the domestic cat and the Asian leopard cat had non-fertile males and only partially fertile females. · The earlier generations of kittens also had an unstable temperament making them unsuitable as pets or show animals.